NCAA Big Ten team Penn State Necktie in bow tie, or standard tie style. Great for any fan. 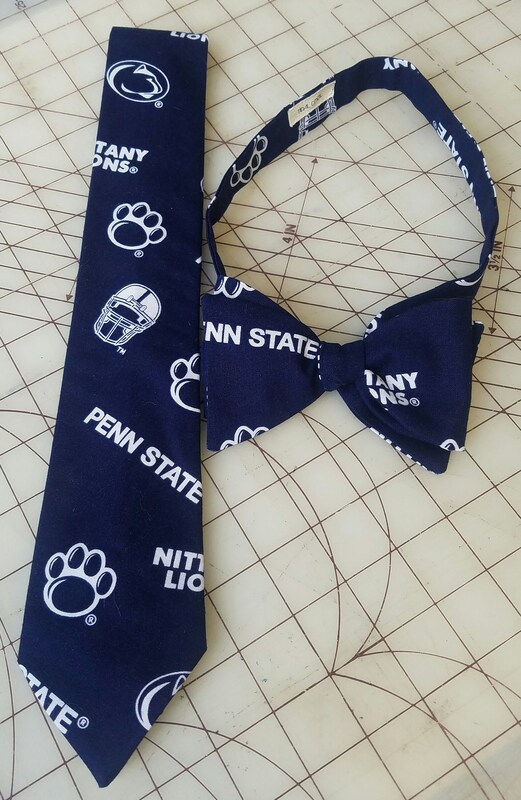 Please see my other listing of Penn State neckties for full availability.